One of the many reasons we love LA is that there is always something to do. We have beautiful weather, culture, great party scene and Hollywood. So you know that when it comes to events like Halloween, LA will not disappoint. We’ve put a list together of what we think looks like the most fun Halloween events in SoCal. Whether you are into scary mazes, the hottest parties or carnivals, we think that you will find something for everyone in our list. If you love shows like The Walking Dead or movies like Alien VS Predator and feel like you want to actually be in their world for a night, then you will love Halloween Horror Nights. Choose from several different Hollywood themed mazes plus five new scare zones featuring The Purge: Anarchy and Dark Christmas. On select nights, the event is open from 7pm to 2am until Sunday , November 2nd. Combine your love of movies and TV shows with Halloween and you get Halloween Horror Nights! It’s as cool as it sounds. 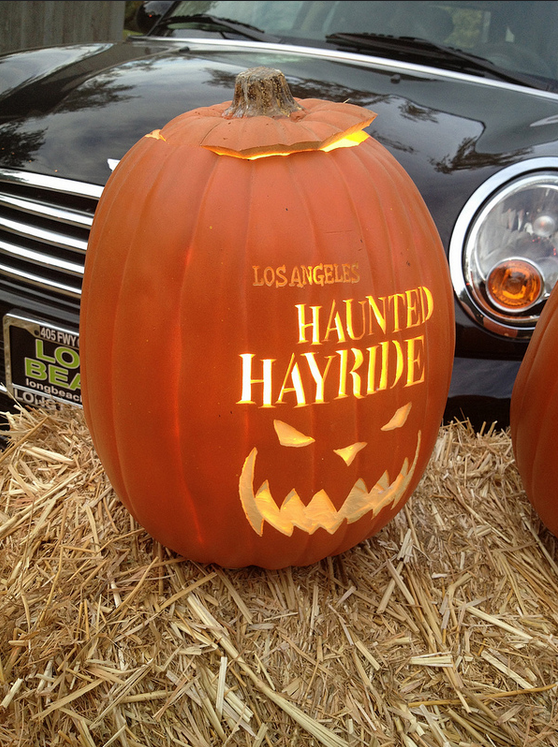 In between the Old Zoo and B Rock in Griffin Park is the annual Los Angeles Hayride. This year is the 6th edition and features dark mazes, new scare zones and haunted villages. There are also nightly performances by the Blood Drums. Enjoy the hayride from 7pm to midnight Friday-Saturday and 7-10:30pm on Wednesday, Thursday and Sunday. General admission starts at $30, VIP tickets , All Season Pass, and a Private Wagon for 30 guests are other options you have. If you’re into the party scene, then this is the must-go-to party of the year. In fact, it is known as the largest Halloween street party in the world. Every year, 500,000 people fill up Santa Monica Blvd between Doheny Drive and La Cienega Boulevard and get to experience live entertainment, great food vendors, and the best-looking costumes you’ll see at any party! Have we mentioned that admission is free? Event runs from 6-11pm. It’s the 20th annual pumpkin festival, and you and your kids are invited to partake in a family-friendly event hosted by Brookside Park, in front of the museum. Experience petting zoos, pony rides, carnival games, bouncers, seasonal crafts and more!